Online reservation required. Offer valid only at scheduled time. No refunds if you do not show up for your reservation. 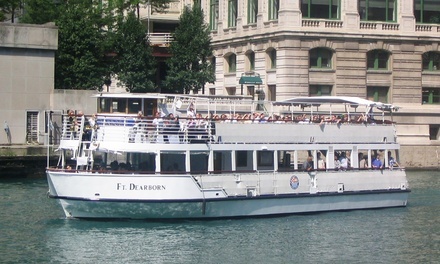 Chicago Line Cruises recommends passengers arrive 30 minutes prior to scheduled departure. Any questions or concerns please reach out to Groupon Support first. Limit 2 per person, may buy 2 additional as gift(s). Valid only for option purchased.